These belts are made of 8-9 oz vegetable tanned leather. 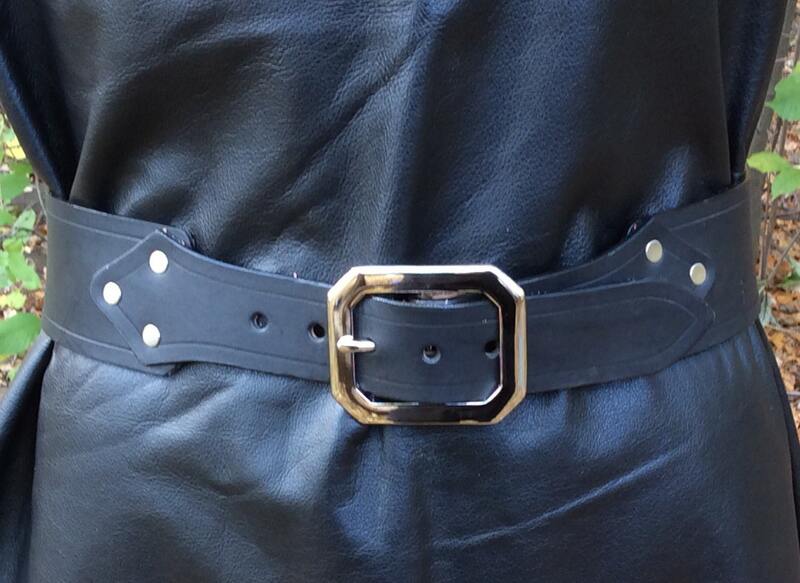 The main body is 2-1/2" wide and the buckle tabs have a 1-3/4" clipped corner buckle in a silver color. Available in black or brown. Please specify ACTUAL snug waist measurement in inches where the belt will be worn, as each belt us custom fit to the individual. If it is to be worn over a kilt or jacket, please measure over it! PLEASE NOTE: Kilt belts are custom fitted to you based on your measurement. Once cut and fitted they cannot be returned or exchanged except for a defect in craftsmanship or for repair or modification.